Rice Krispies Treats decorated for Halloween as an adorable mummy. 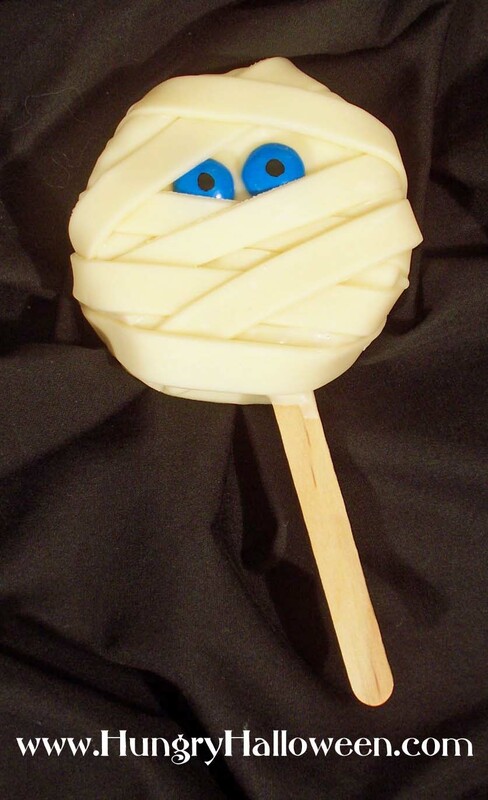 Click here to see the instructions for making these Mummy Pops. That's one of the best looking recipes I've seen yet for Halloween. I always loved frozen rice crispy squares, but covered in chocolate is just too yummy.